The power steering system is one of the most neglected areas in a vehicle. 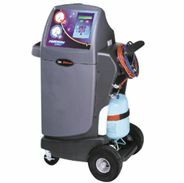 This specially designed machine makes maintaining the system efficient and cost effective. Fluid & debris are completely removed from your entire power steering system while simultaneously replacing it with a formulated synthetic fluid. 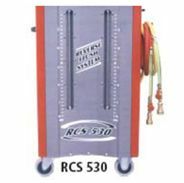 The RCS 530 uses reverse flow technology that completely removes contaminated engine coolant while simultaneously refilling the cooling system with new coolant. Keeping the cooling system full at all times eliminates air locks from occurring. 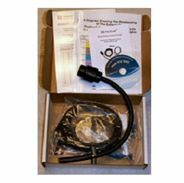 Flushing chemicals can be used to maximize the cleaning of the cooling system. This proven thermal barrier process makes a cooling system flush and exchange, the most effective, time-saving response to cooling system service requirements. The ATS 300 offers our clients a snap shot of the transmissions performance before and after we perform a full fluid transfer. This revolutionary machine digitally records pressure, temperature and the flow rate per minute for each transmission gear. After removing the old retired fluid and build up from your transmission, we will be able to see an increase in flow rate per minute, stabilization of pressures and a reduced operating temperature. This will allow our technicians to ensure a professional service which in turn will save our customers from experiencing an unplanned breakdown. Air conditioning services have never been so convenient for our clients. 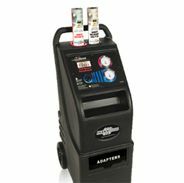 This machine will diagnose any A/C leaks, remove the used oil from the compressor, dry the system out and install new, cool R134A all in one fluid motion. This makes an air conditioning service more affordable which in turn allows you to stay cool longer. Technology is amazing! 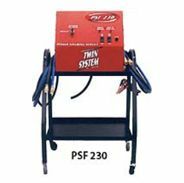 In the past technicians would have to perform invasive testing and the dismantling of your engine in order to diagnose drivability problems like misfires, chugging, shaking, hard starting – all the stuff your engine does that you feel, smell or hear. This tool hooks to our lab scope and within minutes we can detect what is happening without touching a wrench. This tool helps us to save time while helping you save money. 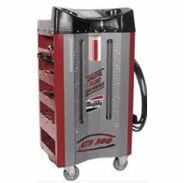 The swing-arm style EHP System II-E Tire Changer can handle a wide range of wheels available today, ranging from OEM to aftermarket applications. 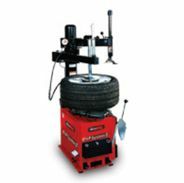 The EHP System II-E features mechanical locking of the vertical wheel offset and a large-diameter horizontal offset knob, providing maximum cosmetic safety for expensive wheels and significantly reducing the risk of wheel or tire damage. 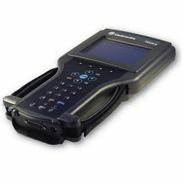 This VCM/IDS is the FORD Motor Co. factory diagnostic interface tool used in all the dealerships today. Its powerful program is capable of performing the most in depth diagnostics necessary to repair your Ford vehicle. It reprograms keys, modules, computers, door pass locks, as well as relearning transmissions shift points. When working on diesel and hybrid vehicles, this is the only tool in the industry that delivers accurate results every time. 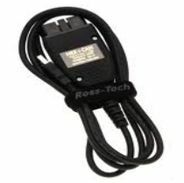 This hand held interface devise is used on Chrysler products up to 2006. It has complete bidirectional controls over all the vehicles systems. From rolling up and down window regulators to reprograming PCM’s, this all in one diagnostic tool makes fixing your Chrysler products a dream. 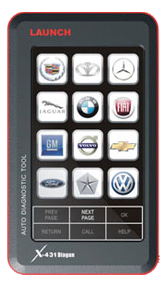 The StarMobile is used with Chrysler’s newest diagnostic software. 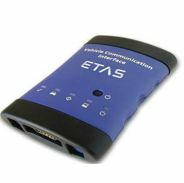 It is a pass through wireless controller that plugs into the vehicle and is controlled from up to 50 feet away with a lap top computer. It has all the functions of the DRB 3 but is faster, performs more reprograming and works on vehicles from 2000 and up Chrysler makes and models. 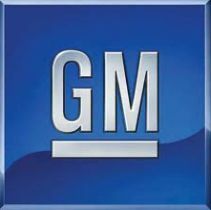 Authentic GM software provides the most comprehensive diagnostic software available for GM vehicles. With support for On-Board Diagnostics (OBD) on all GM systems 1992 through current model year, the TECH II can capture stored Diagnostic Trouble Codes (DTC) & Freeze Frame data. We can view the status of vehicle diagnostic tests as they run and have full bidirectional control when performing Power train, Chassis and Body diagnostics. The GM MDI is initially being introduced with Pass-Thru programming capabilities only. It can be used to perform Pass-Thru programming on all vehicles built since 1993 and will support all vehicles into the future. The GM MDI will be required to perform diagnostics on selected NAO vehicles for model year 2009. The Lanuch was specially designed with today’s professional automative technicians in mind. 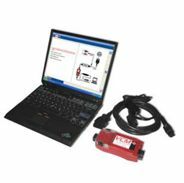 Featuring a compact main unit, powerful diagnostic functions, and lighting fast boot up, the X-431 Diagun is destined to dominate the automotive aftermarket and become the diagnostic tool of choice for professional automotive technicians the world over. Attaches to our Tough Book lap tops and takes full control over your European car. We can diagnose and communicate with all the modules that exist in your car. Saving our valued customers from having to return to the dealership, all your needs can be met under one roof. There’s a reason so many top diagnostic techs choose MODIS. 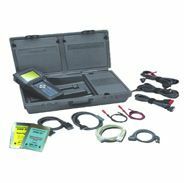 This multifunction tool includes our trademark Snap-on Scanner™, combined with scope-based component testing, and a graphing digital ohm/volt meter. So you can pretty much count on it being the go-to-tool to get the job done. 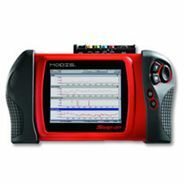 With the benefit of Snap-on’s experience-based Troubleshooter and Fast-Track® component test information, you never work alone when you have MODIS in your hands. Plus, expandability means you are always up to date. With MODIS, you get results you can trust and answers you can trust. That means your customers will keep coming back to the technician they trust – you.